Miller Analogies Test scaled scores refer to the primary scoring method used on the MAT. This is the score you will be reporting to your school, and the one that your MAT percentile rank is based off of. The MAT is given to thousands of students every year; to make that possible, Pearson has to develop multiple forms of the exam, each with a different set of questions. While the test makers aims for every form to provide the same level of difficulty, some forms are slightly more or less difficult than others. To compensate for this difference, the MAT uses a scaled score. Your raw score, the total number of questions you get correct, is plugged into a conversion formula that adjusts for differences in form difficulty and provides you with a scaled score between 200-600. This scaled score allows Pearson to fairly compare performance across all test takers. MAT scaled scores have what is known as a normal distribution or a bell curve (here is more on the MAT Bell Curve). A “bell curve” means that if you graph the scores of all MAT test-takers, you get a bell shaped, curved line. This happens when most scores fall towards the middle range. The middle is known as the 50th percentile: a scaled score of 400 on the MAT. 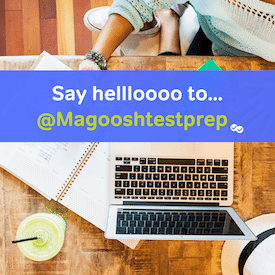 Since the MAT has a normal distribution, most test takers (around 70 percent) will score within one standard deviation (25 points) of the 50th percentile: from 375-425. It is pretty rare for students to score above or below this mark. The MAT candidate information booklet is an excellent resource for information on scaled scores as well as score reporting. In addition, searching “scores” on our MAT blog will bring up a useful list of score related articles.